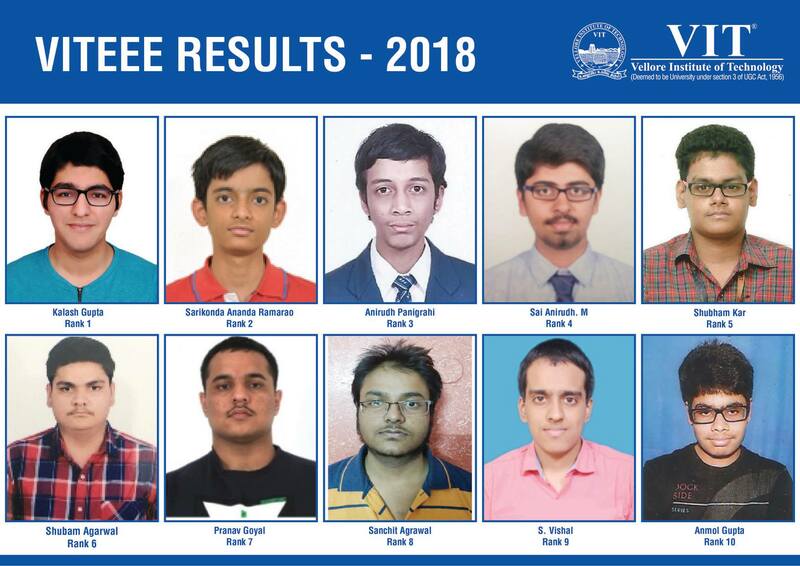 VITEEE 2018 Result: The VITEEE Result has been released on 27th April 2018. The result link of VITEEE will be provided in this article. This article will guide the candidates on how to view and download their result of VITEEE 2018. Check out the full steps and details mentioned in your VITEEE 2018 Result in this article. 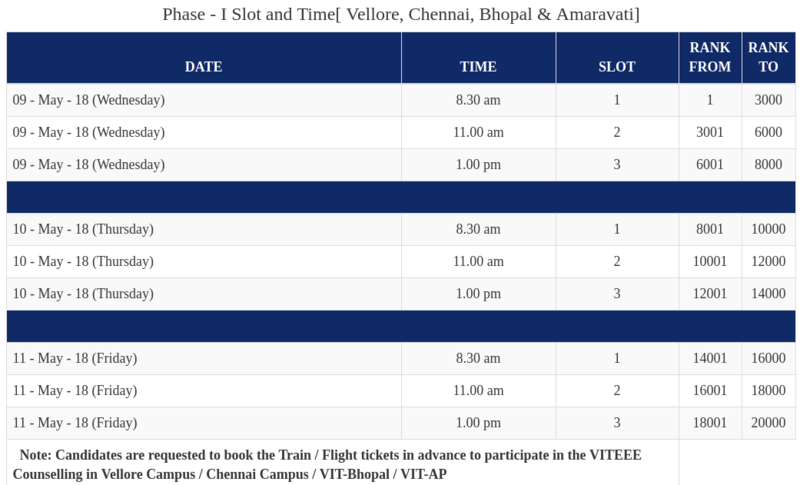 Vellore Institute of Technology conducts the VITEEE or Vellore Institute of Technology Engineering Entrance Examination. VIT University is a Private deemed university located in Vellore, Tamil Nadu, India. All the candidates who want admission in VIT in courses like Engineering, Applied Science and Management can take the exam. The exam is conducted in an online computer-based mode as it has been conducted from the year 2013. For the academic session of 2018-19, the exam has been concluded and the results are going to be announced soon. Check all VITEEE result 2018 details in this article. VIT has declared the VITEEE 2018 Results in online mode on 27th April 2018. The results will be announced only for those candidates who have taken the examination. Applicants have to log in to their account with application number and Date of birth to view their result. The VIT Result will be released in the form of a scorecard and will contain the scores obtained by the candidate in the exam and the rank secured by him. The rank obtained by the candidate will also be sent to the registered email-ID of the candidate. Based on the VITEEE rank, a merit list will be prepared and candidates will be called for counselling and seat allotment procedure based on the merit list. Go to the official website of VIT. Or click on the VITEEE Result link (download link will be provided here as soon as it is released). Your VITEEE 2018 result will display on the screen. How are the results calculated for VITEEE 2018? Equipercentile Equating Method will be used by the VIT university to calculate the result of each candidate. This is a statistical method, where the scores of the candidate are adjusted on test forms. These scores are then taken from different test forms to make a comparison to prepare the merit list and ranking of the candidate. With this method, the percentile rank of the candidates is identified where scores on different forms with same percentile rank are considered as equal. The VITEEE 2018 Merit list will be published by the exam conducting authority for all the qualified candidates on 27th April 2018. The rank list will be released on the day of the Viteee exam itself. The merit list will contain the names of all the candidates who have met the cut-off released by Vellore Institute of Technology. Every candidate will be allotted a rank based on his/her performance in VITEEE 2018. Only those who have been listed on the merit list and got a good VITEEE rank, will be called for the VITEEE counselling. The rank of the candidate will also be intimidated through text message on the registered phone number of the applicant. On the basis of their ranks in the entrance test, the candidates will be called for participating VITEEE 2018 counselling. At the counselling, the candidates have to get their documents verified and pay the counselling/admission fee. Counselling of VITEEE 2018 will be held on different days as per the rank range decided by the university. Numbers of candidates who have appeared for the exam. Vellore institute will release the cut-off for various branches of engineering. Each candidate who wants to specialize in that particular branch will be required to meet the specified cut-off. The closing rank will be considered as the cut-off. Those candidates who are in the top merit list will be called for counselling procedure. Previous articlePESSAT LLB 2018- PESSAT 2018- Registration is closed for all other Test centers except Bengaluru!! 5 How are the results calculated for VITEEE 2018?